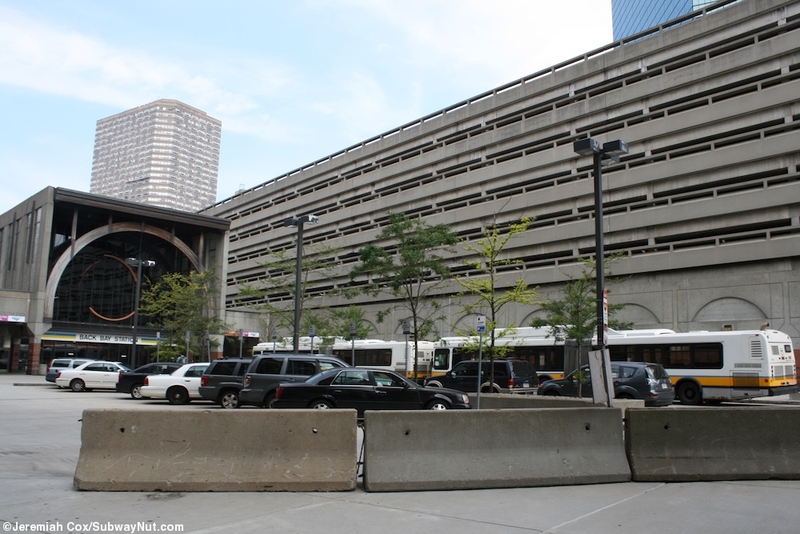 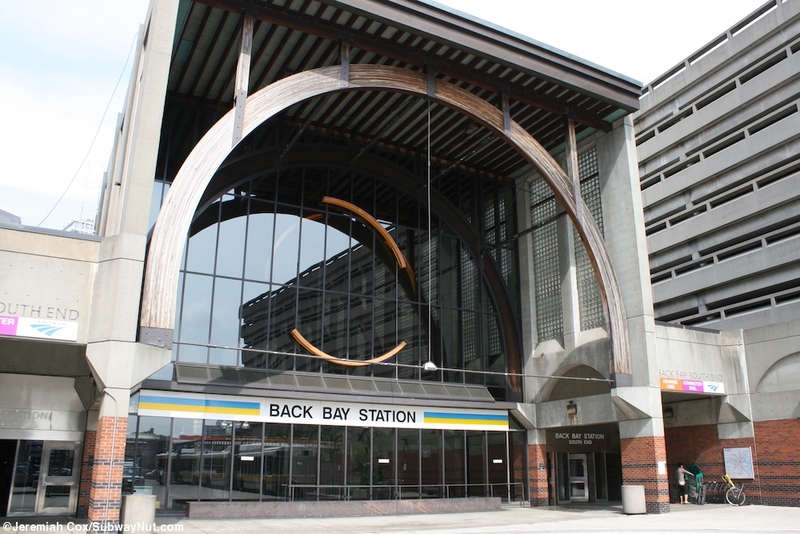 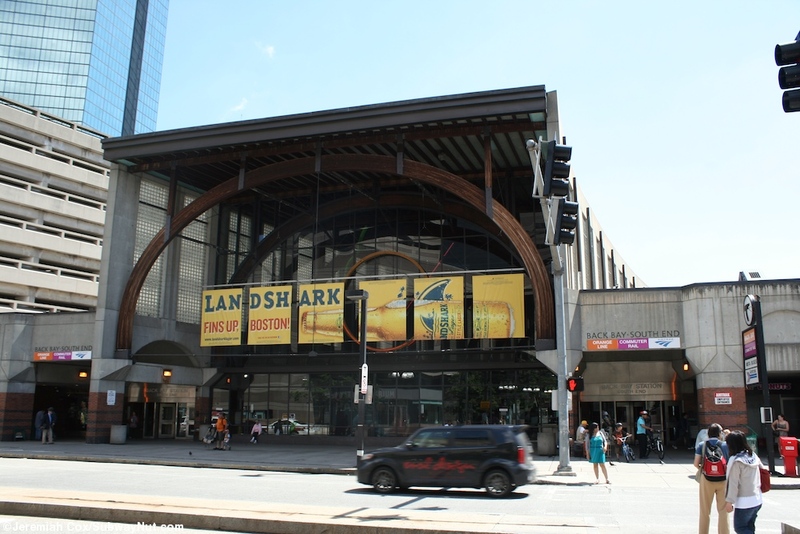 Boston Back Bay Station is shared between Amtrak/Commuter Rail Trains and the Orange Line. 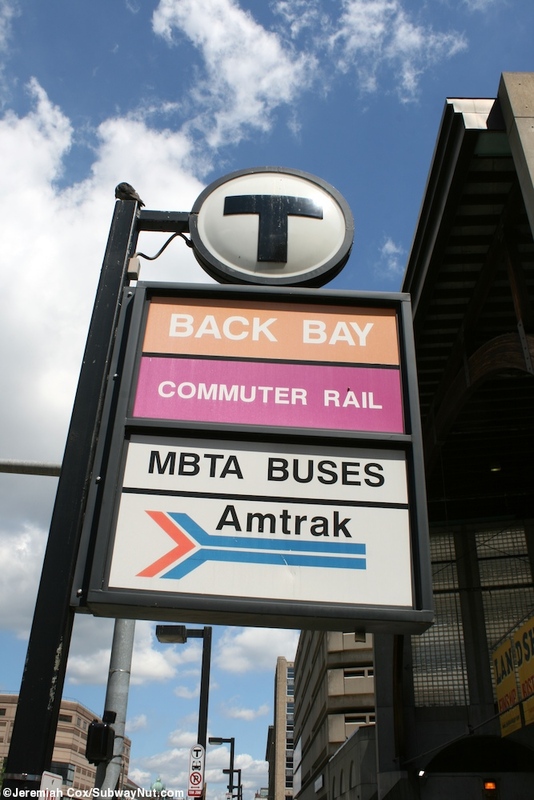 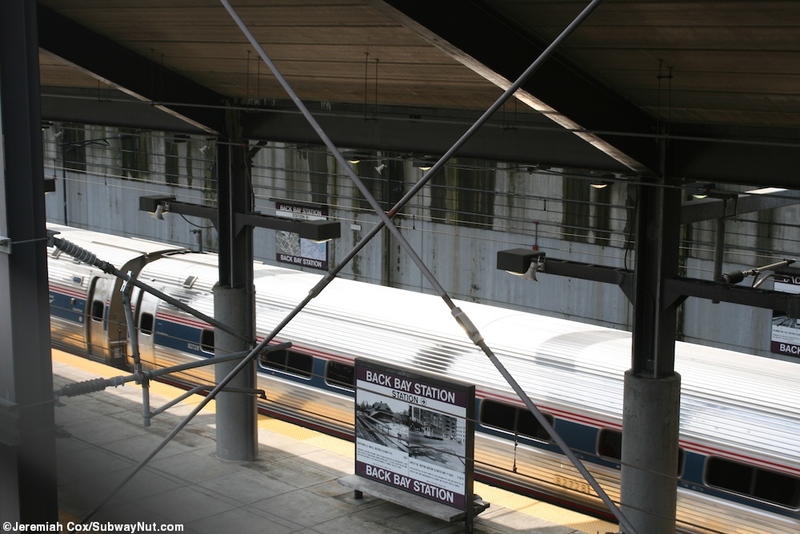 All trains that pass through Back Bay (including all of Amtrak's, Northeast Regional, Acela Express and the Lake Shore Limited) stop as one of two stops for downtown Boston. 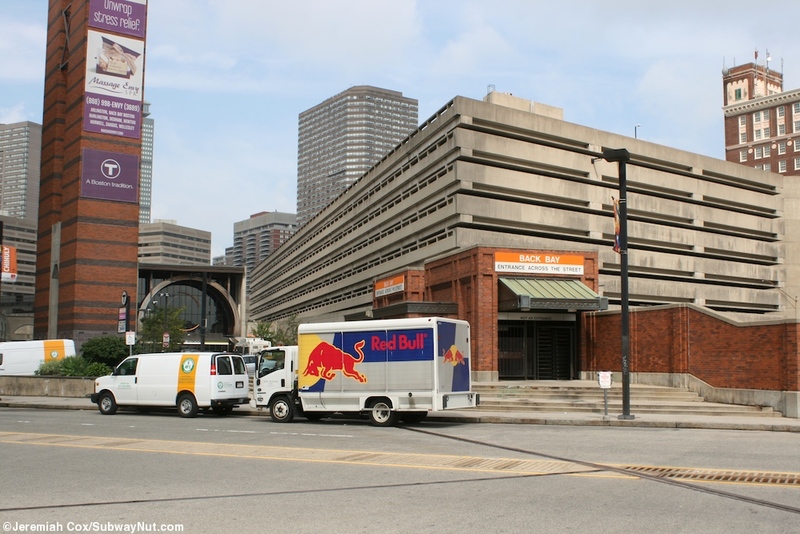 The current station opened along with the replacement and rerouted Orange Line in 1987 that tore down the Washington Street elevated and runs between the tracks and platforms for the NEC that are both high-level, and the seperate low-level platform for tracks 5 and 7 (with just a mini-high level platform for ADA compliancy) used by the Lake Shore Limited and Framingham/Worcester Line. 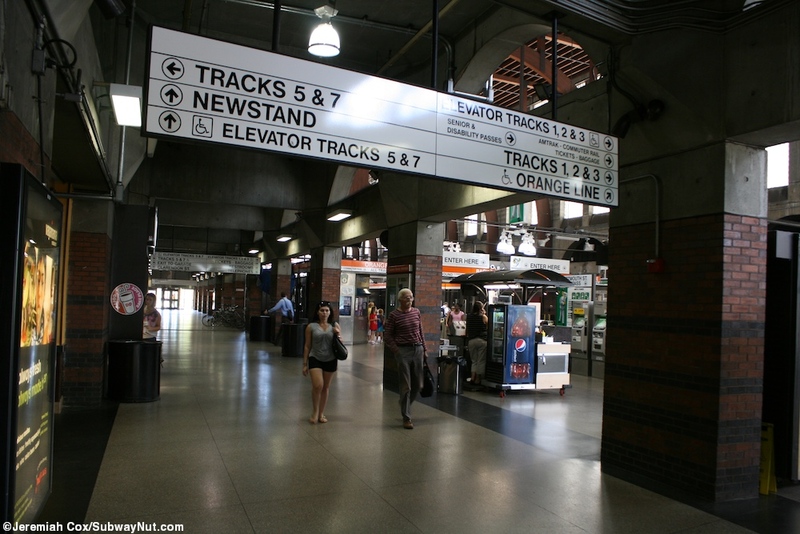 The NEC has three tracks with a side platform and an island. 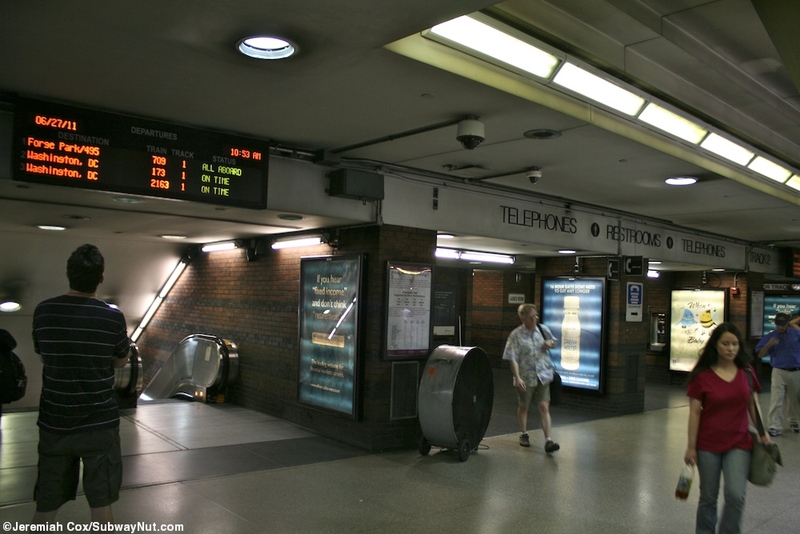 The platforms are located in a mostly enclosed tunnel (with the platforms on the NEC exposed towards the northern end of the station although they have tall concrete canopies) with the standard air quality issues that come from having diesel locomotives underground. 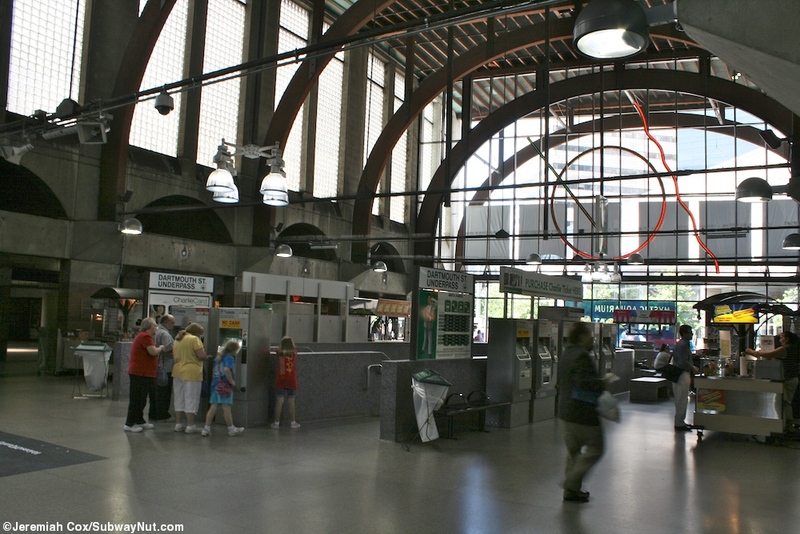 The commuter rail station consists of a Central Concourse area with a glass roof (it was in 2010 replaced due to a leakage issue) and concrete walls that are typical of the other 1987 Orange Line extension stations, where the main subway entrance is. 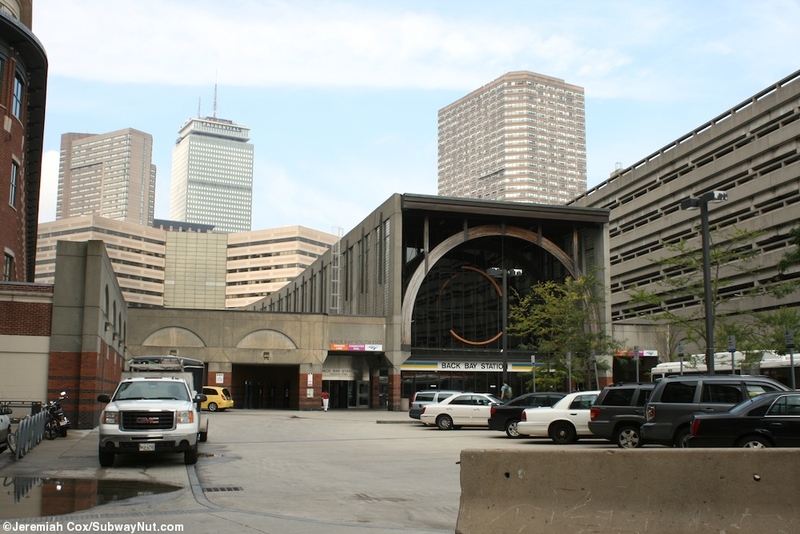 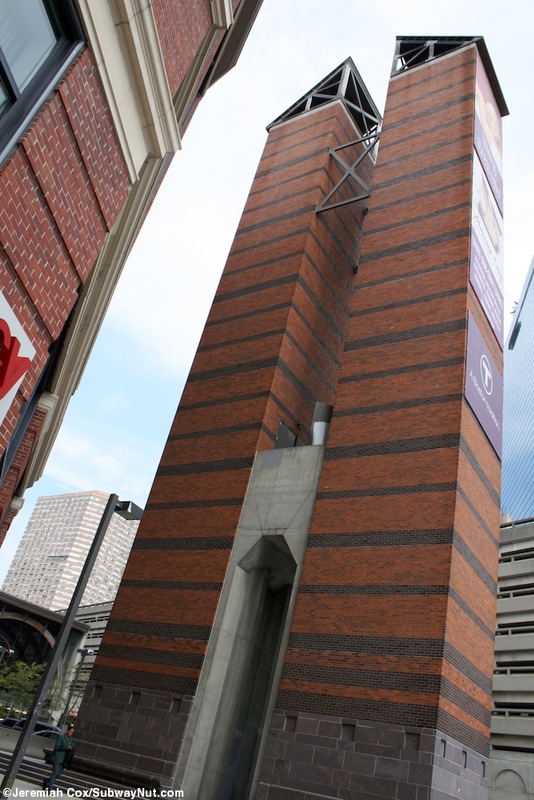 The main tall building has entrances at each end (southern/western) to Dartmouth Street, and northern/eastern end to a bus loop and Clarendon Street is beyond. 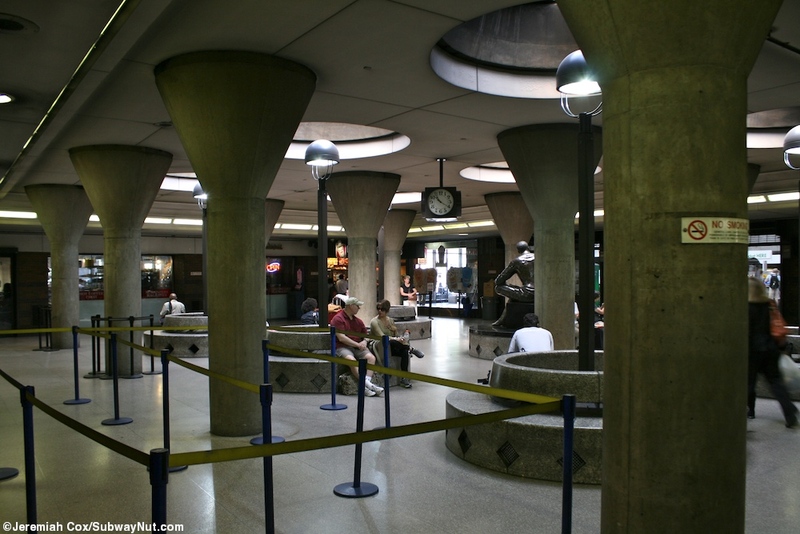 The main entrances are through a small rail lobby with ticket offices (for both Commuter Rail and Amtrak) and round concrete benches for passengers waiting for their trains. 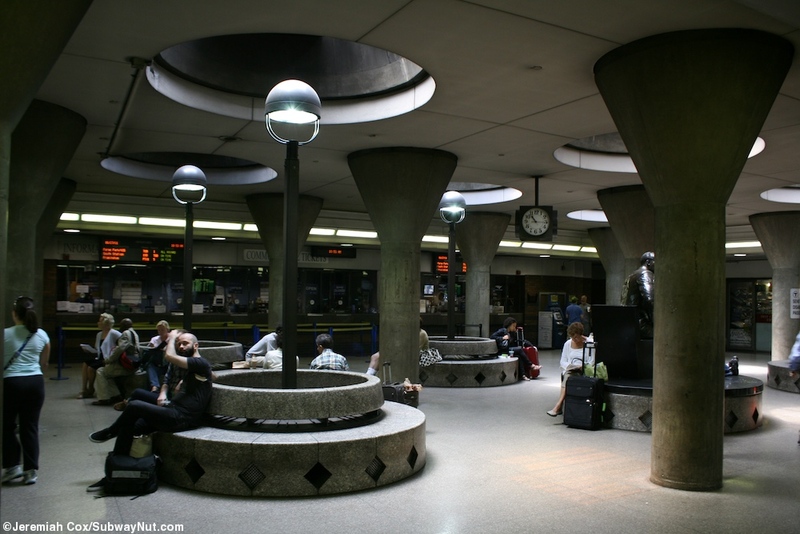 Lots of concrete pillars hold the roof with skylights above. 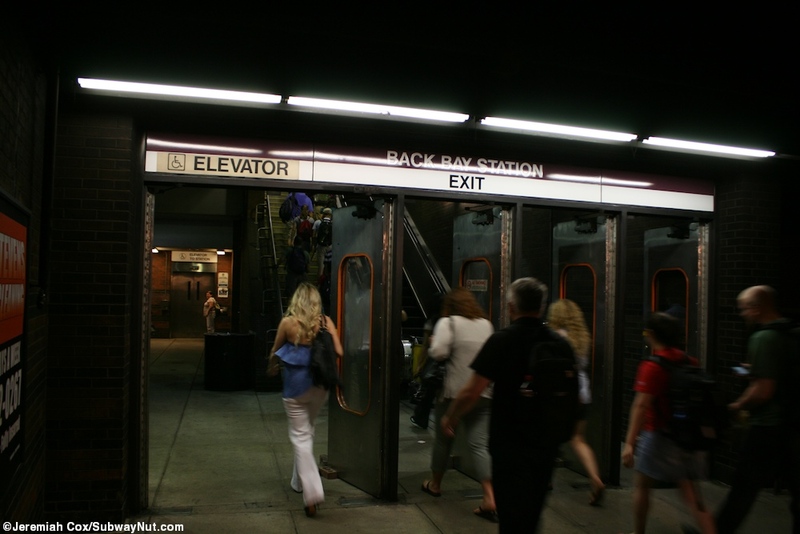 This is where staircases and elevators lead down to the platform. 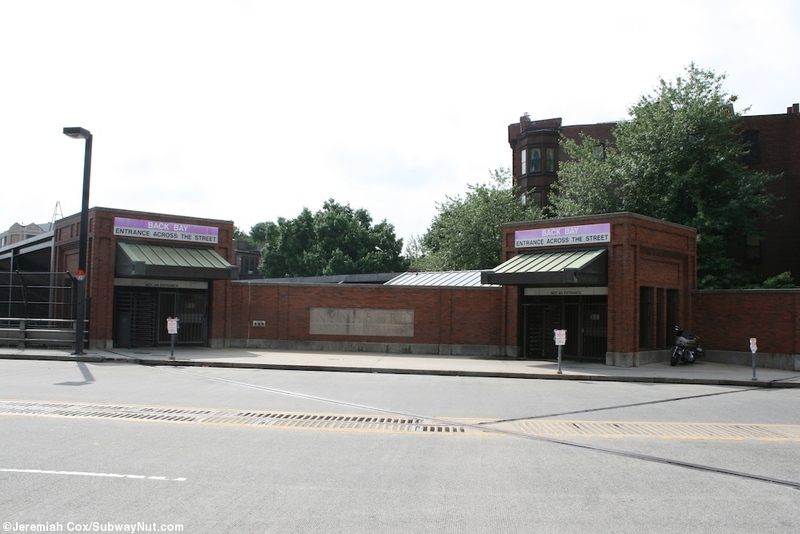 There was a rail station at this location previously on the New Haven Railroad and the only remains of this station is a brick exit portal with N.Y.N.H. 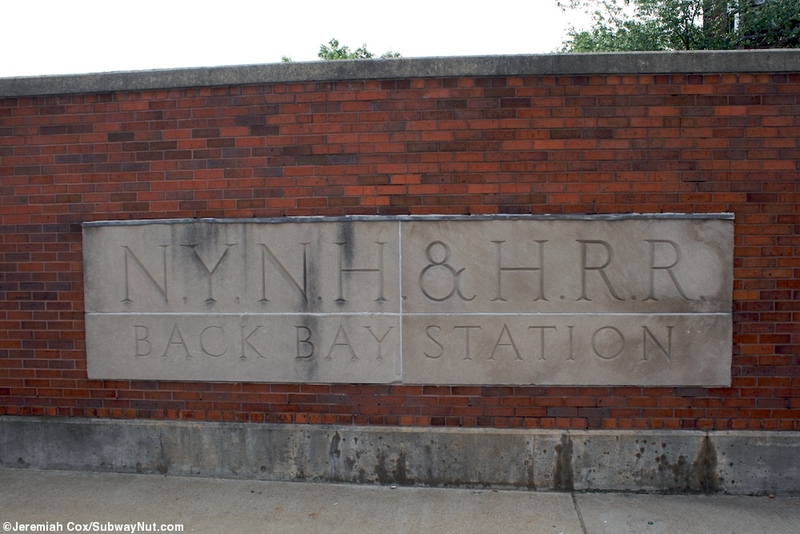 & H.R.R. 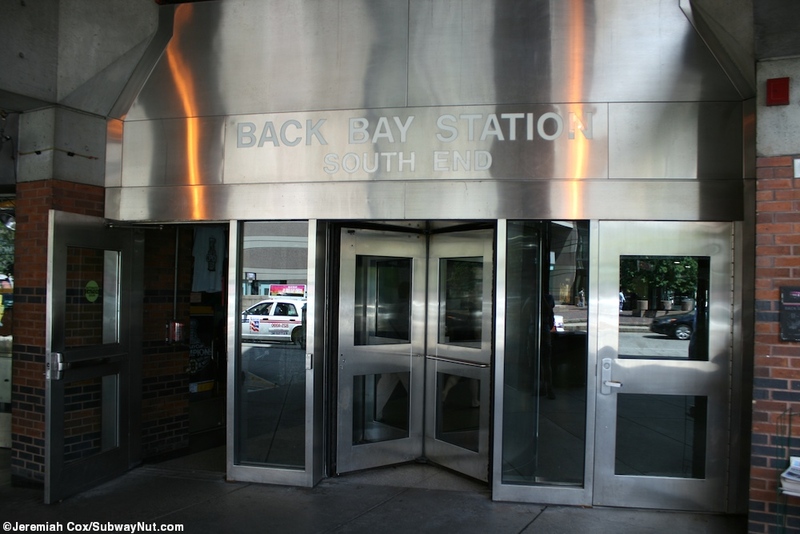 Back Bay Station engraved on crete. 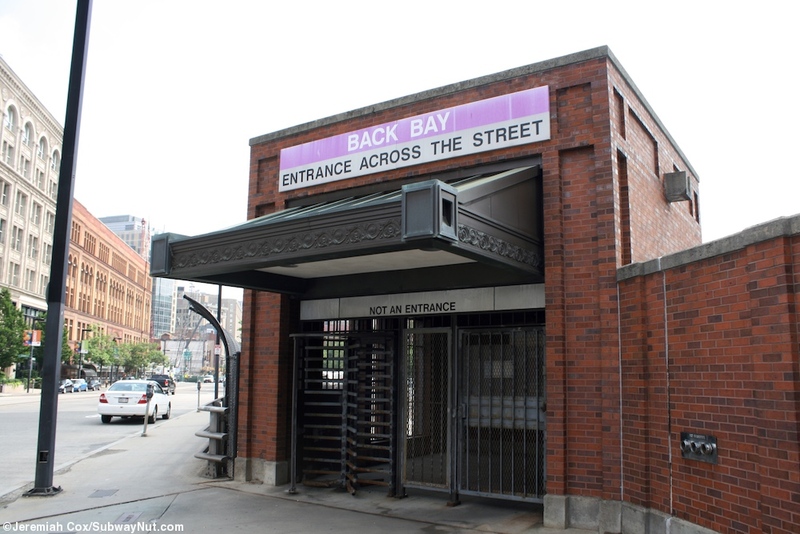 A staircase leads up from each of the two NEC platforms (with simple brick walls) to a high exit gate beneath an ornate, green canopy.This is on Columbus Avenue’s bridge across the tracks and I-90/the Mass Pike that the tracks curve to be alongside of. 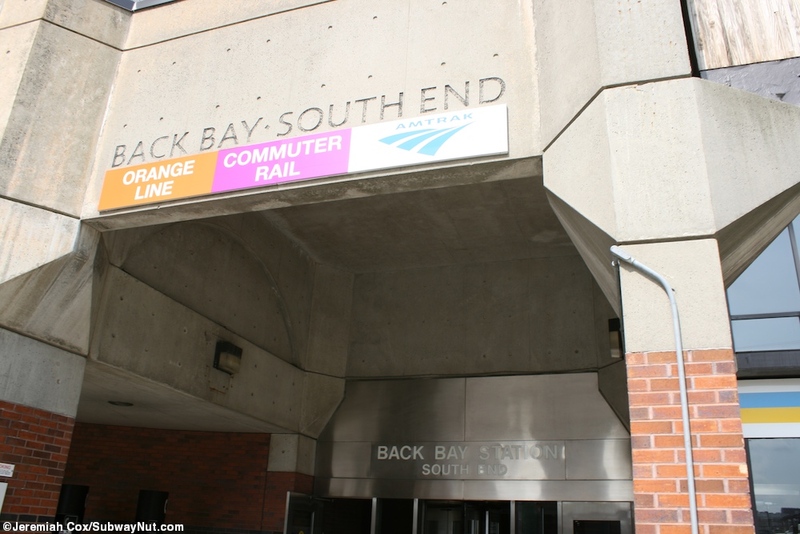 North of this exit is the exposed portion of the platforms with concrete walls and angeled canopies that trains rarely stop at (unless their extremely long). 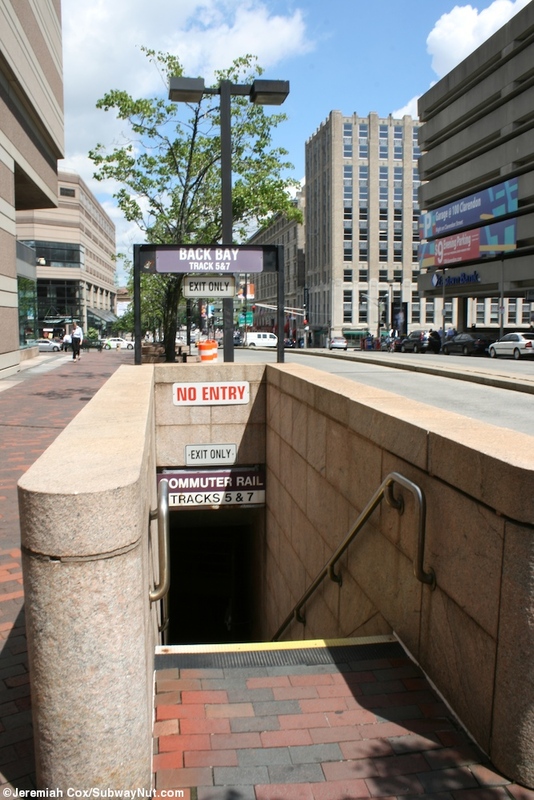 Tracks 5 and 7 don't have access to this exit but instead a staircase (signed exit only but without high turnstiles to enforce this) up to the opposite side of Dartmouth Street.